It is sort of amazing — particularly in our current late-stage capitalism, perpetually on-the-cusp-of-all-out class-warfare culture — just how long it has been since there has been a lockout or a strike in any of our major North American professional sports leagues. The last work stoppage was the NHL’s in 2013, one that wiped out 42 percent of the season and the All-Star Game. If you’re of the school that the NHL doesn’t really count as “major” anymore, you have to go back to July 2011, when both the NFL and the NBA had a lockout. Only hard-core fans even noticed that the NFL had that lockout, though, because no games were canceled, and the NBA simply shortened its season by 16 games — something many players wanted anyway, and probably some fans, too — and opened on Christmas Day. Major League Baseball hasn’t missed any games since the doomsday season of 1994, when they — and bear with me here because I can never type this clause without needing to sit down and catch my breath afterward — canceled the World Series. This is still the most terrible, jaw-dropping thing I’ve ever experienced in the world of sports. All told, we haven’t really had a work stoppage in the social-media era. One suspects these, like everything else, would be more intense experiences now. We better start preparing ourselves now, because this time of labor peace, across the board, is coming to an end. NFL Players Association executive director DeMaurice Smith has called a work stoppage in 2021 “a virtual certainty” — with revenue sharing and the arbitrary “personal conduct policy” that Roger Goodell is constantly wielding like a drunken hammer atop the list of grievances, not to mention the perpetual affair de Kaepernick — and 49ers cornerback Richard Sherman, who’s on the Players Association board of officers, says the union is already preserving funds to get players through a long strike or lockout. The second consecutive frozen free-agent market in Major League Baseball — thanks largely to analytically minded teams refusing to spend money on veterans, who spent the first half of their careers playing for the league minimum — has led to ominous armament on both sides; when veteran pitcher Jake Arrieta, who tweeted on election night 2016 that Hollywood types should “pony up and head for the border,” is suddenly sounding like Nelson Cruikshank — writing that the league’s young players better watch their backs, lest the new agreement crush them — it’s probably time to start worrying. Even the WNBA just opted out of its CBA and could be en route to its first work stoppage this coming off-season. Storm clouds are gathering everywhere. Which means it’s probably the exact right time for a film like High Flying Bird. Directed by Steven Soderbergh and written by Moonlight’s Tarell Alvin McCraney, it’s premiering this Sunday at Slamdance, and is being released in select theaters and on Netflix on February 8. 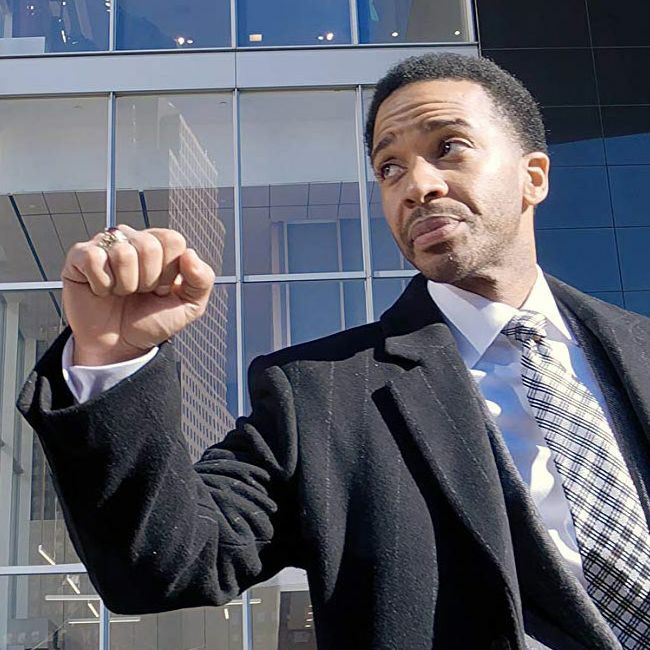 High Flying Bird is attuned to the current sports Zeitgeist in a similar way Soderbergh’s The Girlfriend Experience captured those fractured months after the financial collapse in 2008. (You might not remember the movie that way, but, I swear, that’s what it did!) If you want to know what the next half-decade of sports might look like, High Flying Bird gives you a pretty solid sketch. Whether you find that future horrific or a long-overdue correction depends on your perspective. But it nails the dynamic of big-time professional sports on a business level better than any film I’ve ever seen. The Netflix film is not a sequel to Bird Box. (You can tell, because High Flying Bird is actually good.) It stars Moonlight’s André Holland as Dean, a powerful agent for NBA players who is stuck in the middle of, yes, an NBA lockout. He has a hotshot rookie client (Melvin Gregg) who’s thirsting to get games going again and finally get paid, but this isn’t a Jerry Maguire story about an agent and a player learning lessons and growing and having money shown to them. In many ways, it’s another Soderbergh heist movie, with Dean in the George Clooney role, but instead of robbing a casino, Dean is trying to work within the sports business to, stealthily, bring it all down. His goal isn’t just to get his client the most money — though that’s part of it — but instead, as he says, “see a whole infrastructure that puts control back in the hands of those behind the ball.” Dean’s job is to get the power out of the hands of the (white) owners and into the hands of the (black) players. Thus, High Flying Bird follows Dean as he works with the players association (headed by a woman played by Sonja Sohn, who bears more than a passing resemblance to current NBAPA Michele Roberts, his loyal but ambitious protégé (Zazie Beetz) and a rival agent (and mother of a rival player) to reform the entire NBA business from being owner-oriented to player-oriented. (And I haven’t talked about the veteran coach played by the great Bill Duke yet.) His main adversary, the owners’ unofficial leader — played by a delightfully smarmy and self-satisfied Kyle MacLachlan — thinks he’s just doing a normal negotiation with Dean. Normal negotiations are exactly what leagues and owners usually end up winning. But Dean, like Danny Ocean, has a larger game in mind, and that game isn’t basketball; in fact, this has to be the only basketball movie I’ve ever seen that has no actual basketball in it. Put it this way: While being careful about spoilers, this is a movie whose plot hinges on a meeting with Harry Edwards, the legendary author of The Revolt of the Black Athlete. The goal is destroy the game to save it. It is, without question, the most radical sports film I’ve ever seen, and while it’s not perfect (Dean has a forced, unnecessary backstory that doesn’t really work, and there’s a romantic subplot that never really pays off), it has the usual Soderberg zest and playfulness that mask something quite serious indeed. From cultural power to national anthem protests to labor agreements, there’s a real hunger among players to gain back leverage and power lost in recent years, by any means necessary. This has been accelerated in the NBA, in which prominent stars like LeBron James and Chris Paul have not only become more actively politically, but in fact are starting to sound more and more like Harry Edwards himself; LeBron referred to NFL owners as “old white men” with a “slave mentality” just last month. There is an increasingly combative attitude among players, and with good reason: This is not a moment in history in which anyone wants to believe the MacLachlan character’s repeated claims that “we’re all a family.” Players, like everyone else, aren’t feeling particularly charitable toward billionaires right now. They’re ready for a fight. That’s the mood that High Flying Bird captures, the spirit of revolution that’s in the air, in college sports as well as professional — that Tear It All Down rage that’s bubbling under the surface of sports leagues that claim record revenues but also scream poor when it’s time to pay up for the players. In the past, lockouts and strikes have put more pressure on players, who have less money to burn, than owners, who can sit and count their billions and wait for the players to cave. But the lockout of High Flying Bird isn’t a bane for Dean and his players: It’s an opportunity, one they’ve been waiting for for a long time — a chance to, at last, pounce. The movie feels like light fiction from a not-so-distant future, which is to say, it’s a film of right now. It’s what’s coming. It’s what’s already here.